Arrival at Trivandrum , our representative will be at the Airport to receiving you. On arrival transfer to Hotel at Kovalam. Afternoon sightseeing of Trivandrum Includes Padhmanabha Swamy temple, Museum, Horse Palace, Art Gallery. Evening you will be free at Kovalam Beach. Overnight at Hotel . Morning after breakfast proceed to Kanyakumari. Enroute sightseeing of Padhmanabha swamy temple & Suchindram Temple . Afternoon arrival at Kanayakumari. 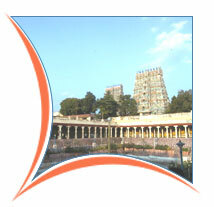 Rest of the day sightseeing of Kanayakumari includes Vivekanadha Rock temple, Gandhi Memorial etc. Overnight at Hotel . Morning after breakfast proceed to Madurai . Evening arrival at Madurai. Rest of the day free. Overnight at Hotel. Morning visit the Madurai temple & palace. Afternoon free for shopping. Evening again visit the temple for watching the night ceremony. Overnight at Hotel . Excursion to Rameswaram. 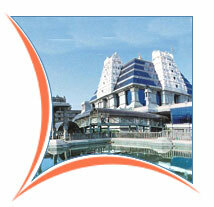 Visit the temple and back to Madurai. Overnight at Hotel . Morning proceed to Thekkady. Afternoon arrival at Thekkady. Evening visit the sanctuary. Rest of the day free. Overnight at Hotel. Morning proceed to Cochin . Afternoon arrival at Cochin. Rest of the day sightseeing of Cochin Overnight at Hotel. Morning drive to Guruvayoor. On arrival check in at Hotel. Later visit the Elephant Camp for watching the elephant. Evening visit the famous Guruvayoor temple (Only Hindus are allowed inside the temple). Overnight at Hotel . Transfer Cochin Airport / Thrissur Railway station in time to connect flight/train for onward destination.